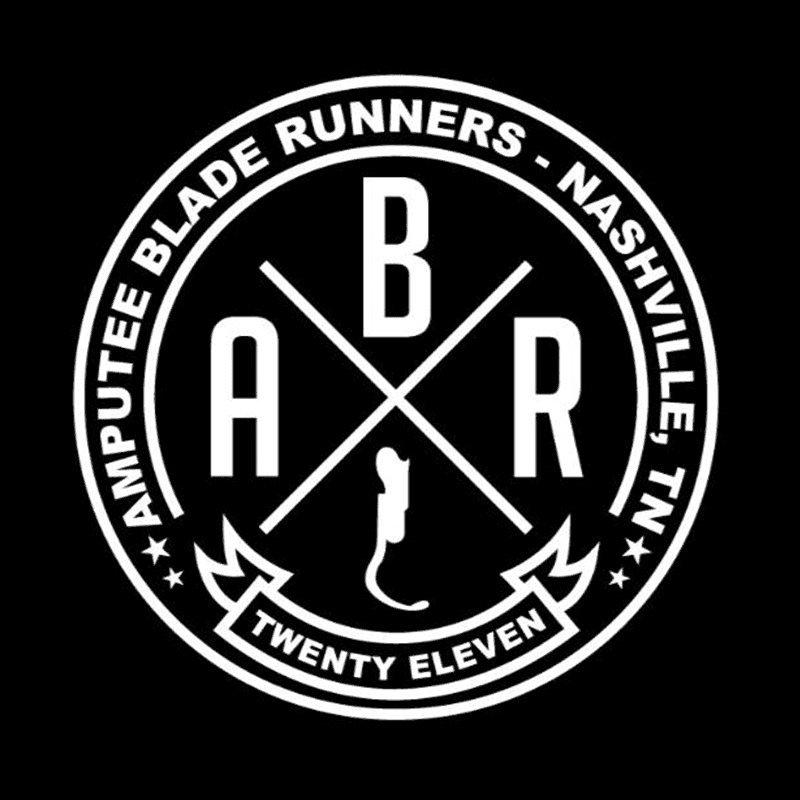 About: Amputee Blade Runners provides free running prosthetics for amputees in need. If you or someone you know is an active amputee and lives in a state in need of an ABR ambassador please contact their team for more information or complete their grant application. Health insurance companies have declared running prosthetics as “not medically necessary” and do not cover their cost. ABR's goal is to provide a running prosthesis to one athlete in all 50 states. 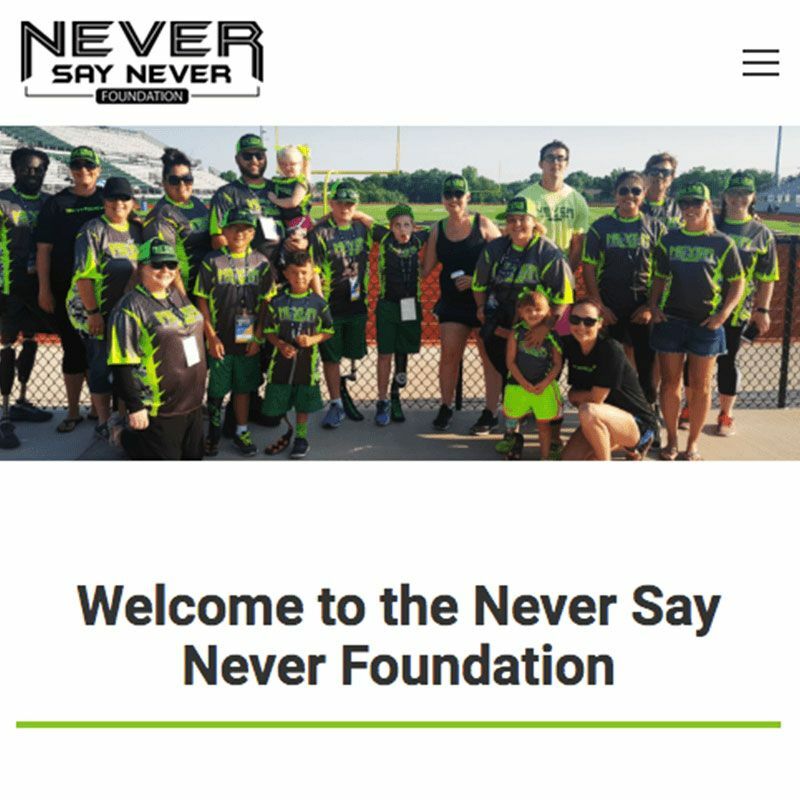 About: The Never Say Never Foundation's mission is to sponsor disabled athletes in a multitude of sports, including extreme sports and to seek funding to allow youth and young adults with disabilities to attend camps, sporting events and to get the prosthetics or other tools they need to thrive. Every October, Never Say Never hosts an adaptive sailing camp (Pirate Camp) in Clearwater, Florida. This camp is put on at no cost to the families, all funds are raised by Never Say Never throughout the year. 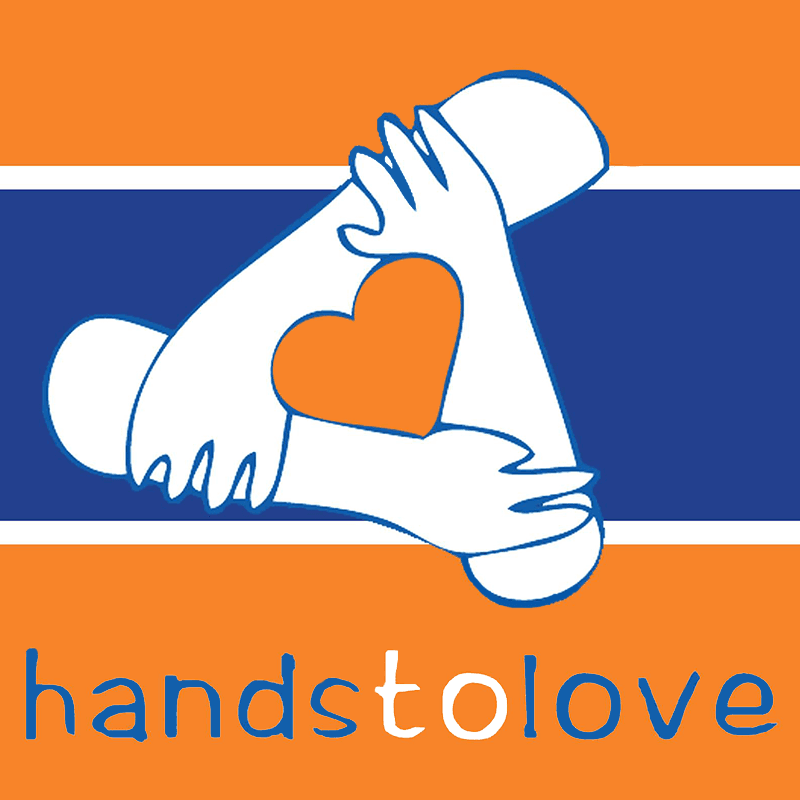 About: Hands to Love serves families of children with congenital upper limb differences, providing valuable opportunities to families through an interactive web site, web-based resources, annual face-to-face family connections and an annual retreat called Hand Camp. Under the guidance of volunteer medical professionals, H2L empowers the entire family through a valuable connection of informational and emotional support, while providing adaptive concepts for everyday activities and uncommon adventures. 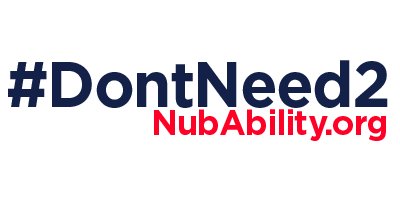 About: Angel City Sports is a verified 501(c)3 non-profit that offers adaptive sports programming in Southern California for Kids, Adults & Veterans with Physical Disabilities or Impairments. They host an annual event called the Angel City Games that is open to participants of all ages and ability levels with any physical disability or mobility impairment including the blind or visually impaired. About: Giving To Fly is a non-profit that gives grants for amputees to cover airfare to specialized camps, clinics, or trainings that enrich their lives physically, emotionally, or socially. Since 2015, Jenna and her Giving to Fly team have help cover camp airfare costs for families and coaches needing financial assistance to attend our nationwide adaptive sport camps. 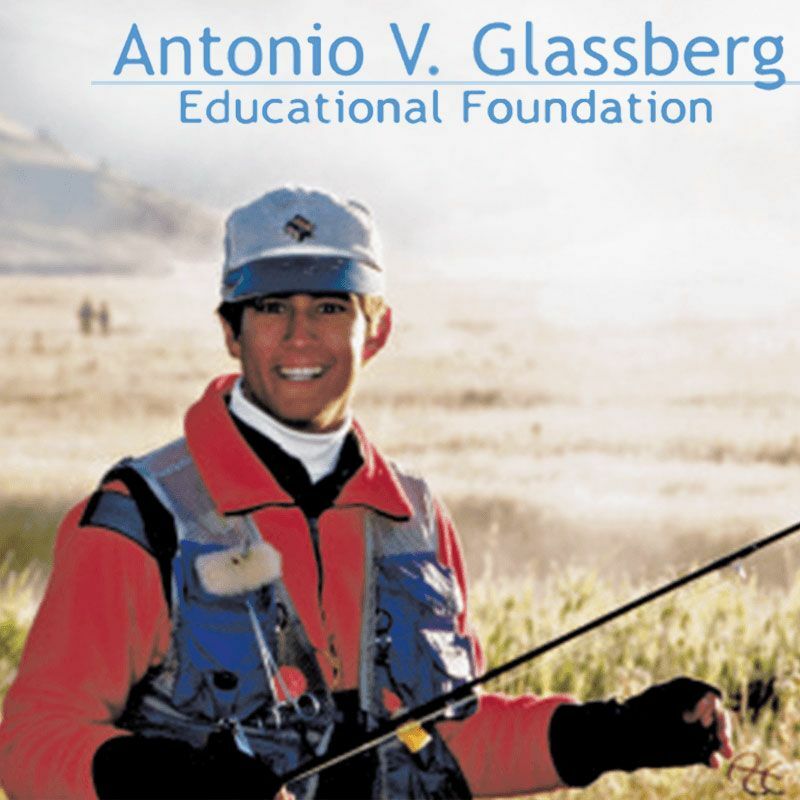 About: The Antonio V. Glassberg Educational Foundation is dedicated to providing scholarships for physically challenged students to attend private elementary, middle and high schools. The amount of each annual tuition grant awarded by the Foundation is based upon a number of factors such as the applicant’s financial need, financial resources, the number of qualified applications received and other considerations.